SWIG is stand along software development tool. It connects code programmed in C and C++ with many high-level programming languages including python. SWIG is used to parse C/C++ interfaces and generate the ‘glue code’ required for the above target languages to call into the C/C++ code. 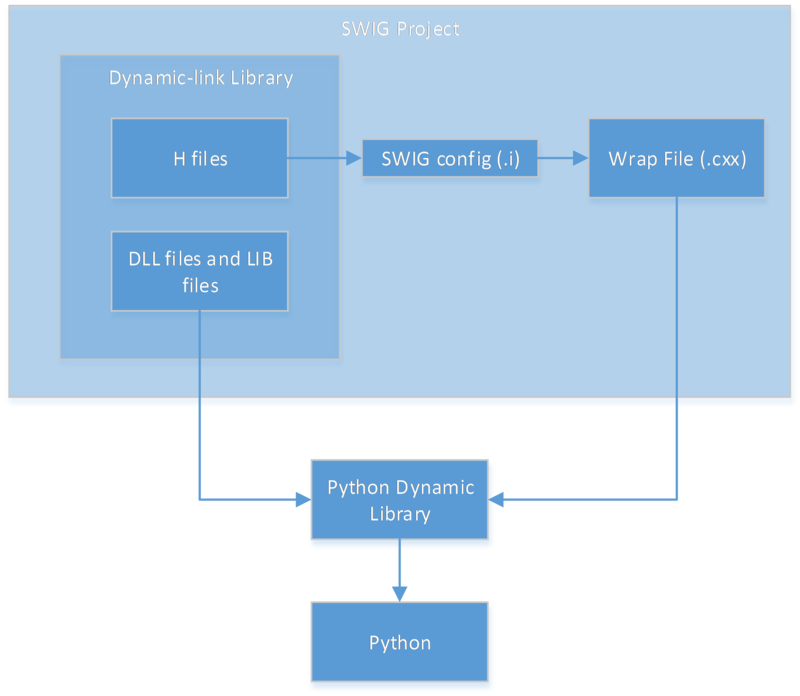 The idea of SWIG is to create a dynamic python library module, which calls the SDK DLL. The structure is shown below. The SWIG compiles the DLL and H files under the instruction of the .i file (SWIG configuring file). 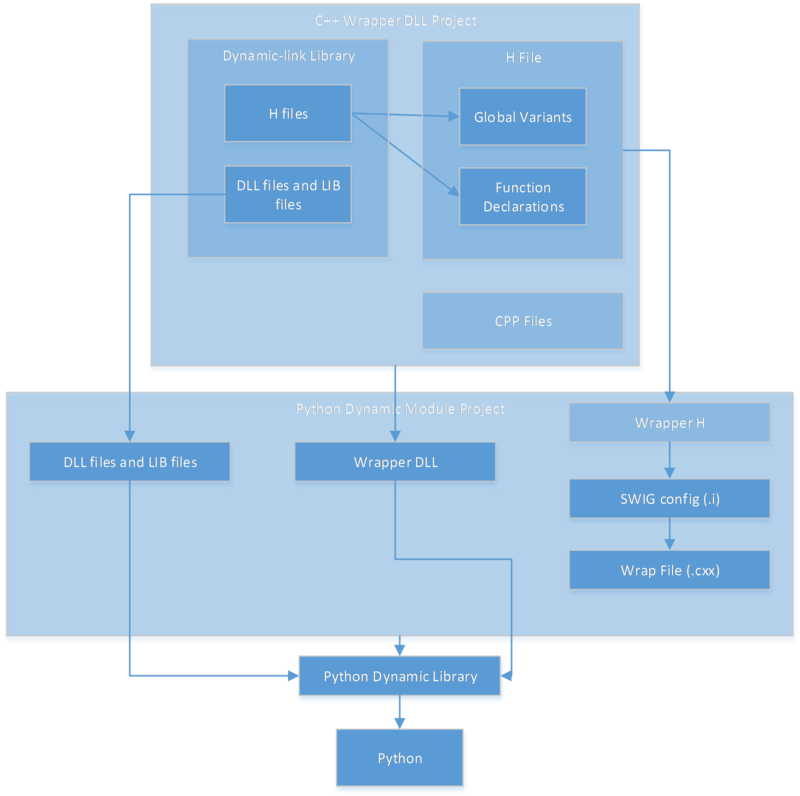 The SWIG project generates the Python Dynamic Library file (pyd). This pyd file can be imported to python. 1. Make a little DLL project. In the repo, this little DLL project is xiaoAdd. There is a class AddTest. This class has only one useful member function add. Compile this project and get the results. 1. Compile the xiaoAddModule.i for xiaoAddModule_wrap.cxx. 4. Write the Python script within the folder where above results are located. When wrapping a complex 3rd party library, there are lots of classes and functions. We want to keep this interface nice and clean. A C++ wrapper is implemented as shown below. 2.1. 1. Make a little DLL project. 2.2.1. 1. Compile the xiaoAddModule.i for xiaoAddModule_wrap.cxx. 2.2.4. 4. Write the Python script within the folder where above results are located.